DoJ Secretary Leila de Lima is probably one person we all wish we see less of; and mostly for her own good. She is a fine woman, to be fair; intelligent, eloquent and works hard. She does seem to love the news cameras; and on more than a few occasions, I had felt that specific cases her department was handling would have been better served had she not talked about these publicly. The ongoing Vhong Navarro saga is one of these. In a recent news report, de Lima revealed that one of the seven persons accused of criminal charges in the Navarro case had applied to become a state witness. If the application was accepted, as witness of the state this person would give detailed information in an affidavit about how the supposed ‘Operation Bugbog’ was planned by the group that mauled Navarro. While I understand that de Lima may feel that she has a duty to inform the public as a matter of transparency, I would like to think that her primary duty – along with everyone in the department with her – is really to see to it that justice is served. “I cannot divulge yet the name, kasi kung malaman nung iba, lalo na ‘yung pinaka-principal na accused, baka may balakin,” de Lima told the media. In that case, if de Lima was indeed concerned about this person’s security, would the person’s security not have been more assured if she had not even mentioned this development to the media? I always suspected that this scenario was possible; i.e. one of the accused becoming a turncoat and running over to the side of prosecution. There were seven names in the DoJ’s charge sheet: Cedric Lee, Deniece Cornejo, Zimmer Raz, Ferdinand Guerrero, Jed Fernandez, Bernice Lee and JP Calma. The Taguig Regional Trial Court’s arrest warrants for the non-bailable charge of serious illegal detention did not include the last two. In a group of seven, one – or even two – was always bound to have no more than a fringe involvement in the incident and therefore was always going to be the weak link. That is, this fringe participant was always likely to feel the most aggrieved by the threat of incarceration or jail time. If the group was arguably too big to plan and carry out the alleged crime, it was also arguably too small as to make figuring out the turncoat a no-brainer when push came to shove. Thus, by making this development public through the media, was de Lima not actually compromising the very security of the person whose testimony can be crucial to how the case develops in court? 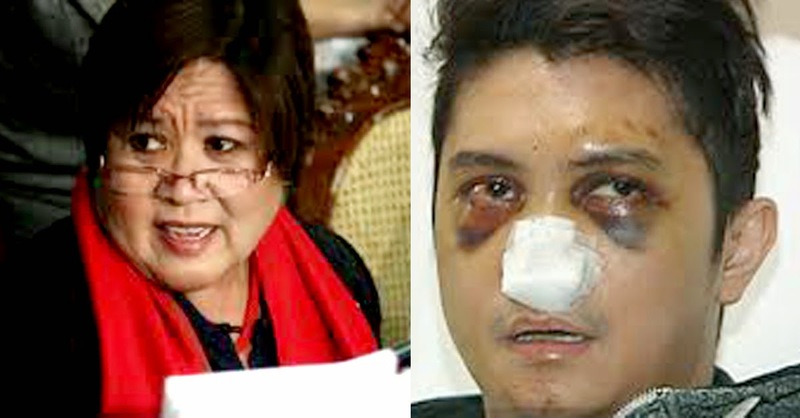 Would it not have been better to have secured the person’s testimony in writing, the application for state witness processed and the person safely wrapped in the cotton wool of witness protection before de Lima even mentioned a word to the media? That the public is informed, to my mind, can always come after the fact. In a more recent development, a second person has sent feelers to the DoJ through a columnist of the Philippine Star. News reports mention the person as a ‘he.’ Five of the seven charged by the DoJ were males. Whoever masterminded the entire operation now has four names to choose from. The media may as well name names because the very mention of security makes the very idea of it seem like such a farce.